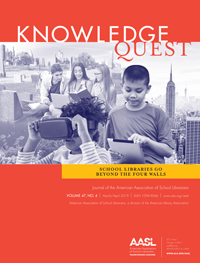 The American Association of School Librarians (AASL) has named the members of its new editorial board to evaluate and revise the association’s learning standards and program guidelines. The editorial board will build on a strong history of publications by AASL to transform teaching and learning through school library programs. Chair Marcia Mardis will be joined by members Susan Ballard, Elizabeth Burns, Kathryn Lewis, Kathy Mansfield, Deborah Rinio and Kathleen Roberts. Marcia Mardis is currently an associate professor in the iSchool at Florida State University. Highly respected in the field of research, she has been recognized by her peers as “the most widely published researcher on the intersection of school libraries, science learning, and digital resources.” Mardis has served on the AASL research and statistics committee, the School Library Research editorial board and the 2007 learning standards rewrite task force. Susan Ballard is currently the project director of school librarian program development at Granite State College/University System of New Hampshire. Ballard is a past president of AASL, serving as president from 2012-2013. She has served as chair of the AASL standards and guidelines implementation task force, co-chair of the ALA presidential task force on school libraries and as a member of the Knowledge Quest editorial board. Elizabeth Burns is a faculty member in the school library program in the department of teaching and learning at Old Dominion University. 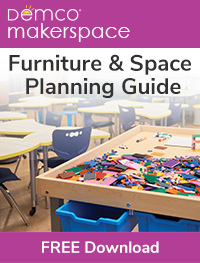 Burns’ research projects focus on standards integration and she has participated in research that examines integration of curriculum standards with library collections. She served on the AASL Common Core State Standards implementation task force and is a current member of the AASL advocacy committee and ALA’s committee on library advocacy. Kathy Mansfield is the library media/textbooks consultant for the Kentucky Department of Education. During her tenure, she facilitated the revision of the state school library guidelines that included the selection of the AASL learning standards as the official school library standards in Kentucky. She has been directly involved with standards writing work for social studies and worked with groups that reviewed the Common Core State Standards during the state’s adoption. Deborah Rinio is the high school librarian at Hutchison High School in Fairbanks, Alaska. She holds a Masters in information resources and library science from the University of Arizona and is currently pursuing her Ph.D. in information literacy instruction from the University of Alaska. She spent three years writing and editing research-based K-12 science curriculum for the Geophysical Institute at the University of Alaska. Rinio also participated in the development of proposals and performance reports and co-authored research papers for publication in peer-reviewed journals. Kathleen Roberts is the school librarian at Rivers Edge Elementary School, part of the Henrico (Virginia) County Public Schools. Roberts was the 2013 AASL sponsored ALA Emerging Leader and has served in various roles for the association. She co-presented at the AASL Fall Forum with Ann Martin focusing on the role of the school librarian as a leader. Also with Martin, Roberts co-wrote the article, “Digital Native Does Not Equal Digital Literacy,” which appeared in Principal, the journal for the National Association of Elementary School Principals. 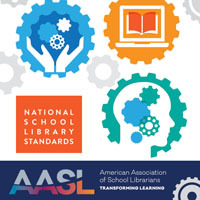 The evaluation and revision of AASL’s learning standards and program guidelines is a critically important project to both the association and the profession. The publications offer a vision for teaching and learning which guide the profession as education leaders to transform learning. So glad to see that a strong team has been chosen to review and revise AASL Standards! Carpe Diem! Revise and create a set of standards which will reach our NextGen students. Educators under-value the role of media and information literacy in graduating college and career ready (CCR) students!